Postcard from Holland is a regular feature on this blog. On Wednesdays I post a card from my collection of vintage postcards. Today: Hillegom. The Mariastraat is a street in Hillegom. The building on the left seems to be this one on Google Streetview. 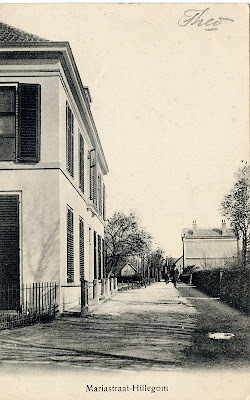 Postcard from Venlo: Retreat house "Manresa"